Chase has more than 5,100 branches and 16,000 ATMs nationwide. Their small business services include merchant and payroll services, checking and savings, quick deposits, lending services, and more. Chase offers no monthly service fee for clients who maintain a minimum balance of $1,500. The no minimum balance plus ease of accessibility to physical locations makes Chase a great option for business checking. Plus, new clients may qualify for a bonus. Ready to get started with Chase business checking? Apply now. $2.50 per inquiry, transfer, withdrawal using a non-Chase ATM in the U.S., Puerto Rico and the U.S. Virgin Islands. Fees from the ATM owner still apply. he U.S. Virgin Islands. Fees from the ATM owner still apply. For other fees and detailed information, click here. Chase consumers has access to 16,000 ATMs and 5,100 branches nationwide. You can use their branch locator to see what locations are closest to you. 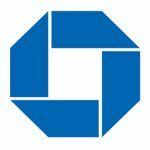 Chase also offers the following business services: online & mobile banking, business savings accounts, business credit cards, wealth management, as well as different type of loans such as SBA financing, commercial real estate loans, trade financing, equipment financing, and more. Find out more about their small business offerings on their website. Want to know which bank we name the best business checking account for small businesses? Read our business checking account buyer’s guide comparing the top 6 options. Want Another Business Checking Account Option? Want Another Business Checking Option?